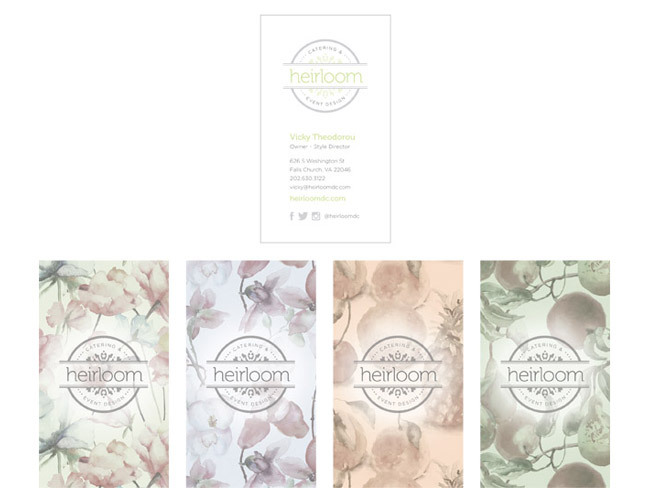 We created a soft and beautiful brand for Heirloom with their website and continued the same styles with the business cards. The cards were printed with MOO, who allow you to use different images on the back of the card (as many as you like), so we chose a few of the watercolor images from the website to use. The styles, colors, and fonts on the cards all echo the website styles, carrying along the brand look and imagery.